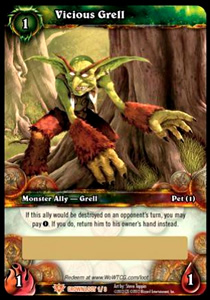 The Vicious Grell loot card is redeemable for a Grell Moss loot item, which teaches the use of the Gregarious Grell pet. 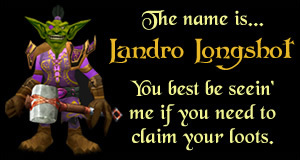 The Gregarious Grell is the first Grell companion pet available in World of Warcraft. The summoning sound of the Gregarious Grell is exactly the same as the sound made when an Imp is summoned by a Warlock. The Grell also makes that same sound when clicked on. Vicious Grell is a super common loot card - found in approximately 1 in 11 packs of Crown of the Heavens. Crown of the Heavens booster boxes are selling for around $90 each, which would put the average price of this card at around $40, were you to try and pull it from a pack.